Digital travel platforms have become an important source for travelers worldwide before, during and even after their trips. 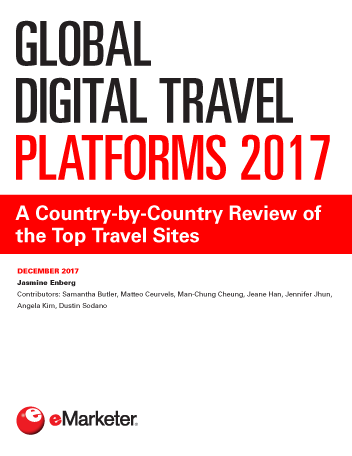 This report examines the use of the leading digital travel platforms in major markets in Asia-Pacific, Europe, Latin America and North America. Travelers worldwide use online travel agencies (OTAs) such as Booking.com and Expedia throughout every stage of the travel path to purchase. However, direct booking platforms are slowly gaining ground for travel purchases, particularly in Europe and North America. In terms of reach, TripAdvisor is the leading digital travel platform in most countries included in this report. Though predominantly a travel review site, TripAdvisor also offers metasearch services, making it an important tool for trip research and planning. Interest in the sharing economy for accommodation services like Airbnb is growing, though most travelers worldwide have yet to use them. Sharing transportation services like Uber and other ride-hailing apps have made greater headway, partly due to their lower barrier to entry. Most travelers still prefer PCs when it comes to purchasing travel online, but the number of mobile travel bookers is on the rise. Ride-hailing apps have helped to propel this growth, though an increasing number of consumers are booking other types of travel services, such as flights, via mobile as well. "eMarketer estimates worldwide digital travel sales—including airlines, car rentals, hotels, accommodation and transportation—will rise from $612.91 billion in 2017 to $855.07 billion by 2021."